High quality, easy to handle hose. 2x water flow connectors with colour coding. 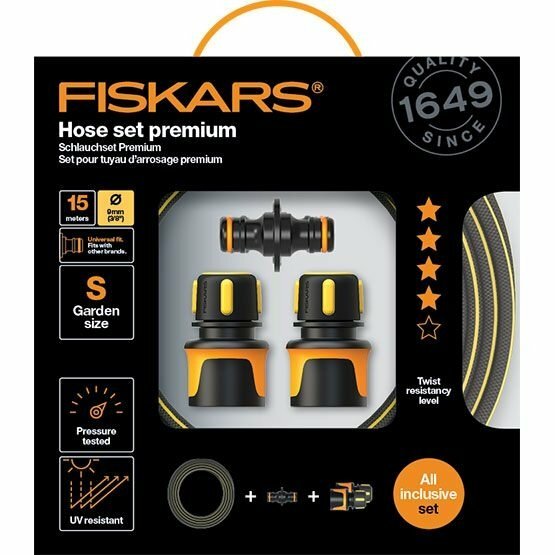 Hose set for small gardens or to lengthen hose in watering reels. Easy to handle 9mm hose, 2 quick hose connectors and extension connector included.